Sandals Royal Plantation Ocho Rios is a boutique resort with an understated elegance, completely private is located on the lush northern cost of Jamaica tucked into a magnificent coral bluff. It's the first all-butler and all-suites resort in the Sandals resort chain. 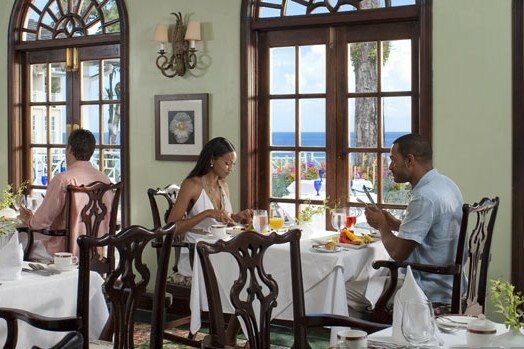 Enjoy the all-Butler experience at Sandals Royal Plantation in Jamaica! Royal Plantation Resort also known as Sandals Royal Plantation, offers nothing short of excellence in luxury, food and service. If you are looking for chic ocean view suites, pristine beach location and top class amenities to spend a holiday with your loved one then this Ocho Rios Jamaica resort is the best pick for you. This resort is a couples-only all-inclusive destination equipped with all the modern facilities one could ask for. Book your vacation now and save. Fully protected beach on the East for all water activities including sailing, wind surfing and kayaking. 74 panoramic ocean view suites with a personal butler who will help you customize your favorite food. Royal Cafe, a restaurant at beach front offering exotic items from grilled barbeque to exotic drinks and fresh salads. Two private cove beaches and a swimming pool with a view of the spectacular Caribbean sea. 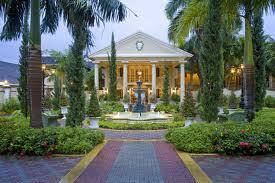 Romantic lush gardens and pathways for you to enjoy and cherish the eminence of this beautiful private resort. Experience true hospitality at Sandals Resorts in Jamaica! Located at about a hour and half drive from the Sangster International Airport, this resort offers everything you can dream of in a vacation destination and more. 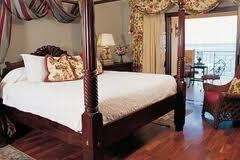 You will find it to be one of the finest romantic beach resorts in Jamaica. Some of its best services include a fully functional air-conditioned fitness center, a golf club, excellent spa service and a tennis court. The staff welcomes you with warm hospitality in an unique friendly style. There is a varied array of food and drinks available including afternoon tea, day time snacks, champagne bar and three gourmet restaurants. Its recreational activities include tons of water sports, a health club, private cove beaches, whirlpool and swimming pools. 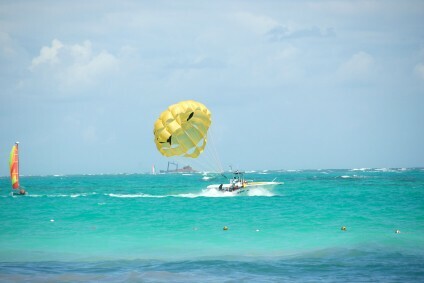 Professional instructors are available for all motorized and non motorized water sports. From live music to dance parties, you will find night life and entertainment at its best here at the Royal Plantation Ocho Rios. There is an onsite gaming lounge, a piano bar and a drawing room. This resort has a range of ocean view suites available, including one or two bedroom suites and those with patios and Jacuzzi. Rooms have air conditioning, dry cleaning service, electronic key, fresh bathrobes, television, telephone, CD player and Internet. There is also a mini-bar, a personal safe, coffee maker and a hairdryer. Graciously serving multi-lingual staff is always available to assist you. For two people in love looking to enjoy some good private time together, some reggae music in a tropical paradise, this boutique resort is indeed one of the finest option in Jamaica. The bewitchingly beauteous fiery sunset view over the alluring turquoise Caribbean waters, the feeling of passionate romance in the air, the energetic atmosphere of the night time beach parties and the sublime warm tropical breeze, everything about Royal Plantation Ocho Rios is waiting to make you fall-in-love, all over again.